Can School Garden Farms Reduce Childhood Hunger? As you are reading this, there are children in America who don't know if they will eat today. How is this possible when America has so many available resources? Are we really using what have to the fullest advantage? Urban gardens are known for reducing hunger. What if we took it a step further and required all schools to have them? Can school garden farms reduce childhood hunger? According to FeedingAmerica.org, 16.7 million American children faced hunger issues in 2008. In a country as abundant as this, why should this be an issue? Rearranging priorities may help. What if schools were required to have garden farms that provided nutrition for the entire neighborhood? This would be a simple program to implement. In fact, there are already grants and other plans in place for those who wish to do so. Why Create School Garden Farms? School gardens can help teach kids about agriculture. Giving them a head start in important sustainability lessons may help increase the chance of their success later in life. Schools are often the center of their neighborhood. It's where many events and gatherings take place. The farming could be implemented into the curriculum. At harvest time for each plant, the kids can divide the crops evenly, according to how many people need them. There will likely be plenty for their families, as well as others in the neighborhood. If various crops are planted according to season, there should be plenty of food year-round. When school is not in session, the garden can still be maintained. This will help make up for the lack of nutrition many people suffer from. Can School Gardens Really Reduce Childhood Hunger in America? According to UrbanHarvest.org, community gardens help reduce hunger. Following that pattern, wouldn't it make sense that a school garden could help reduce hunger in children? 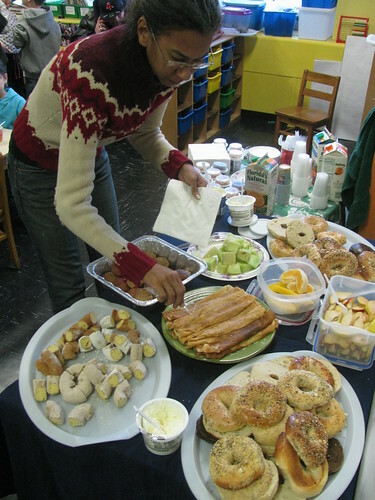 If the food was distributed evenly to all neighborhood families by default, people may not be so hesitant to take it. Sometimes people are in need, but are embarrassed to admit they need help. Some may not have adequate transportation to get to that help. By making the community garden a part of the school's curriculum and regular routine, it's possible that childhood hunger could be reduced significantly. Taking away the sometimes grueling application experience and other measures may make this option more desirable for some families. With this type of plan, no one needs to feel left out and no one needs to be put on the spot or labeled. Santa is on his way but for many families getting food on their tables is as elusive as seeing Santa climbing down the chimney. Over 44 million homes are considered food insecure. These families rely on school lunches to provide their children with a meal, trips to the local food bank to get a meal on the table, and stretching every dollar for what it's worth. During school breaks the amount of children who go hungry increases because there is no food in the home. Hunger hurts. Not just emotionally but physically and mentally. 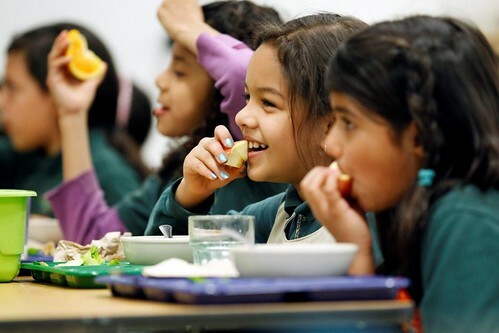 According to Share Our Strength, children who go hungry are more likely to become sick (headaches, stomachaches, ear infections), become hospitalized, risk obesity, face behavioral problems, lack focus in school, and struggle with learning. 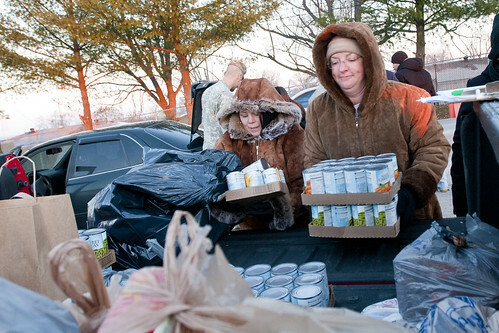 The number of hungry during the holiday season is only increasing. Island Harvest (a food relief organization in Long Island) spokesman Donald Miller told CNN's Eatocracy about the increase, "Prior to the start of the holiday season – the benchmark would be the number of turkeys requested for Thanksgiving and Christmas and this year, it came in at an astounding 42,000, whereas last year the requests were for about 25,000. We've taken in around 12,000 so far, so we're really behind the eight ball." 17.4 million households in America are food insecure. 4.2 million of those households include children. America is considered one of the fattest nations yet we have millions who cannot afford to put food on the table. It is shocking and sad. There are ways you can help fight against hunger. Visit places like Island Harvest, Share Our Strength, and Feeding America to make a donation. Find a local food bank and donate non-perishables, ask if they are hosting a turkey drive then donate one. If you are in need of help putting food on your table this holiday season: Please use THIS TOOL to find a local food bank. This Halloween, even if a child does not knock on your door proclaiming, "Trick-or-treat for UNICEF," you might consider a donation to the United Nations International Children's Emergency Fund. We may tend to envision our contributions paying for famished children to eat porridge from bowls with their fingers, but UNICEF does much more. Concerns beyond world hunger include schools, medical issues such as AIDS treatment and prevention, and fresh water supplies, just so name some samples. The annual UNICEF budget is about $2.7 billion, two-third contributed by the governments of United Nations member countries and one-third from 6 million private citizens worldwide like you. To contribute, visit this website. And always remember, if you are not financially situated to make a cash gift to an organization such as UNICEF, you can always donate your time to your local soup kitchen or to any worthy cause. UNICEF estimates than 22,000 children in the world pass away each day, what we mean by "pass away" is "die," because of hunger and other poverty-related concerns. This should not be accepted, especially when we consider our comparative wealth. P.S. 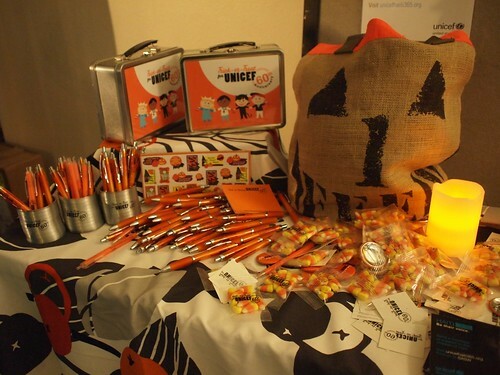 : Just because a young American child is trick-or-treating for UNICEF, that doesn't mean you can't give them a candy bar in addition to your UNICEF contribution.